This is my friend Bill. He came to stay in February when he wasn’t very well at all. I have been looking after him since then. He and his friend Ben were lucky ponies: not only did the RSPCA rescue them, but some other kind friends sponsored their rehabilitation while they stayed ay my yard. The Pettifor Trust is a Swansea charity, which raises money for needy animals. 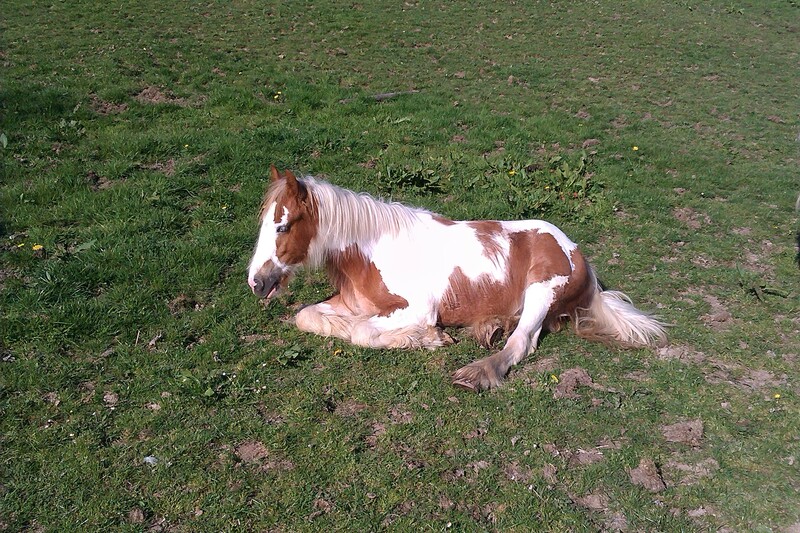 One of their many responses to the plight of horses in 2013 was to contribute towards some veterinary expenses of four ponies which had been rescued by their local group of RSPCA inspectors. So, to begin at the beginning, Bill and his friend Ben were spotted by the good Inspector Nic, who arranged for them to be removed from their desperate starving plight – hooray for the RSPCA! 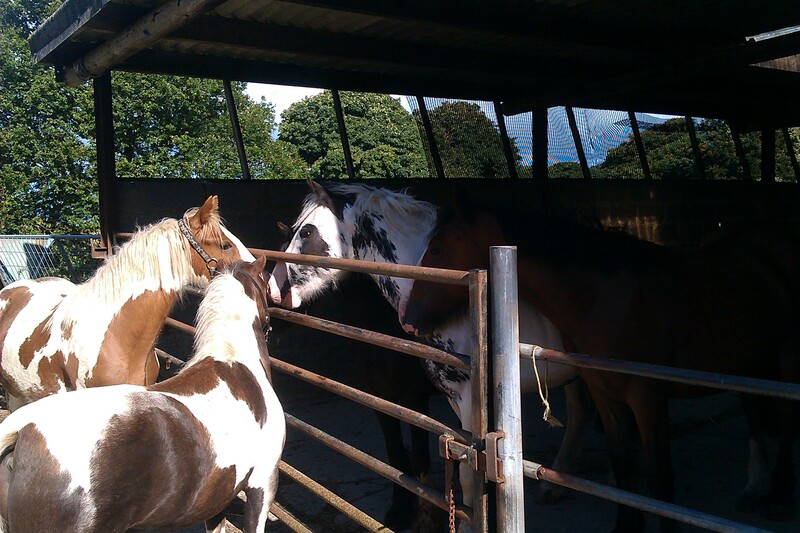 All these ponies needed to be gelded before rehoming and Bill’s operation was not straightforward. In fact, he had to go to horse hospital to have a special procedure – hooray for the Pettifor Trust! It’s a sobering thought that if Bill had been left with his breeder, he might have died, but even if he had survived a winter’s starvation, he would have been an oddity, and would have finished his short life at the abattoir by now. His good luck continued yesterday, when he went to his new home. Another old friend of mine (sshh, don’t tell a soul but it’s my farrier) made friends with Bill while he was here and yesterday, he fetched him home to live with his family’s driving ponies. 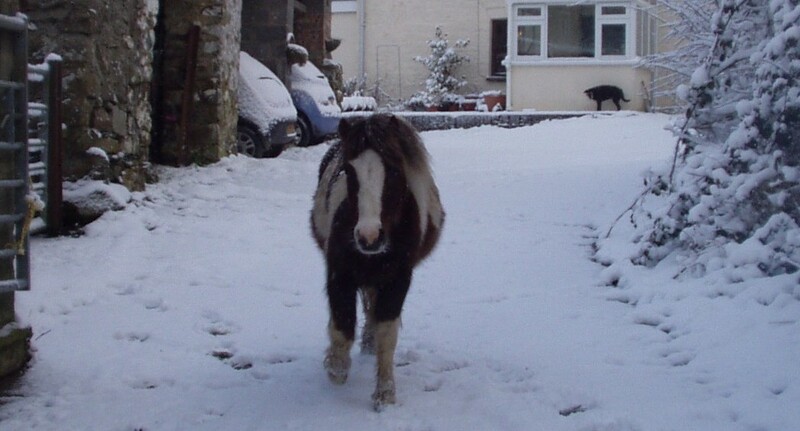 This entry was posted in Horse welfare, Life and Times and tagged Animal Welfare, Bill, Pettifor Trust, Pony Power, RSPCA, rspca rehoming on August 22, 2013 by sallylearoyd. Last week was very full of stuff. On Thursday, my friends Ben and Timothy Too went off to their new home. I was sad to see them go, but I did feel that I had helped them along their way. They were lucky little guys. Together with Bill, they were sponsored by the Pettifor Trust for their veterinary expenses while they were here. They have settled down well after being gelded and are sure to make good family ponies. Bill is still here because his gelding operation was a bit more complicated. I am looking after him for a while – I must say, he does not play such rough games as he used to and I am quite relieved about that! On Friday, quite late, two trailers rumbled down the lane to the yard and some new friends arrived! Their names are Frodo, Bilbo and Merry. They are a bit rough in the manners department, but I have had a word with them about that. Frodo is brave and sociable. He loves to be groomed and does his leading really well. He is well grown but thin and in need of Doctor Green (luckily the good Dr is here for the summer). Bay Bilbo is VERY SHY. He can hardly bear to look at you really, but once he has his courage in both hands (hooves?) he allows himself to be touched and heaves a big sigh of relief. Little black Merry is kind of the odd one out. He is number three in this gang and the smallest, however, what he lacks in size, he makes up for in character (rather like my good self really). When he arrived, he was doing all of the defensive stuff which we all do when we are scared. He tossed his head and stamped his front foot, but gradually his curiosity (and greed) has got the better of him. After three days, he is itching to play another game and this morning decided that having his tummy scratched was his new favourite thing! This entry was posted in Horse welfare, Life and Times and tagged horse welfare, horses and ponies, rehabilitation livery on August 4, 2013 by sallylearoyd. Last week, she went off down to Laugharne for the day, to see some old mates of ours. Horlicks was rehomed from the RSPCA YEARS ago. He has had a great time with Liz, taking part in every sort of activity possible and excelling in all of them. For someone who began life as a rather plain (sorry mate) little vanner, he has really flown the flag over the years, both for his type of cob and the RSPCA rehoming process. Liz has adopted and fostered countless other horses and ponies as well as Horlicks, so she has been a really important member of the Wales team. While out on our hack we visited Marmite for a photocall as well. Marmite and Horlicks used to go to lots of shows together, wowing the judges with their versatility and good nature. Horlicks’ competition work now is riding club dressage. He a wise old boy and always brings home a rosette. Not for him the grind of daily schooling on a circle and endless lessons. He knows his job and does it – with that extra bit of sparkle and presence which you need for high marks. The lovely filly Chloe who is also in these pictures, is the latest addition to their yard. Her name is Chloe Valentine because she really was that special gift (inspired there Gareth!). Although only five years old and still immature, she is showing some real promise and flair. Chloe climbs on her lap! And of course the little guys must not be forgotten. Spike and Freddie have a great life too. They are great playmates for the other horses and dogs and are a constant source of pleasure to the holiday makers at the yard as well. 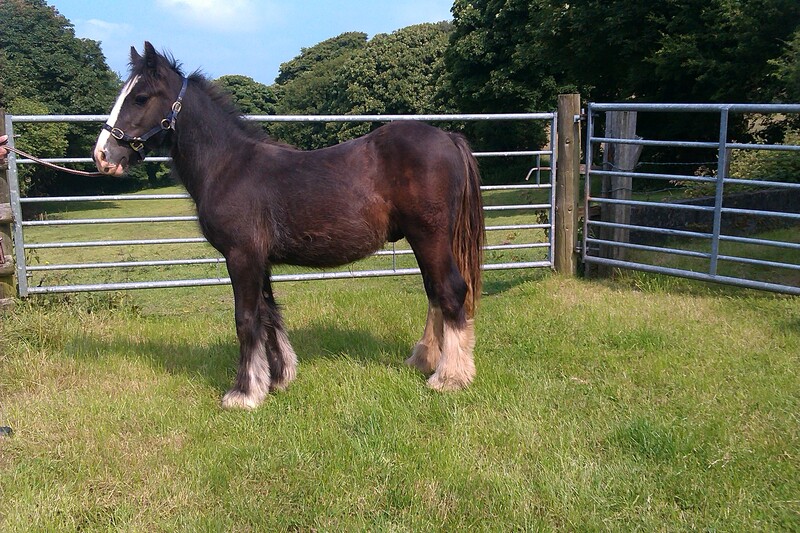 This entry was posted in Life and Times and tagged horse welfare, rspca rehoming on August 4, 2013 by sallylearoyd.